On May 4, hundreds of local Comcast NBCUniversal employees and their families, friends and community partners will “make change happen” as they volunteer at numerous projects across greater Knoxville as part of the 18th annual Comcast Cares Day, the nation’s largest single-day corporate volunteer event. This year, a variety of volunteer projects in and around Knoxville will support local organizations including the Knoxville Botanical Gardens and Arboretum, Second Harvest Food Bank of East Tennessee, Young-Williams Animal Center, Inskip Elementary School, Green Magnet Academy and Davy Crockett State Park. Additional volunteers are needed and encouraged to attend a project. For more information on how to get involved and to register, visit https://comca.st/2GfnJIN. 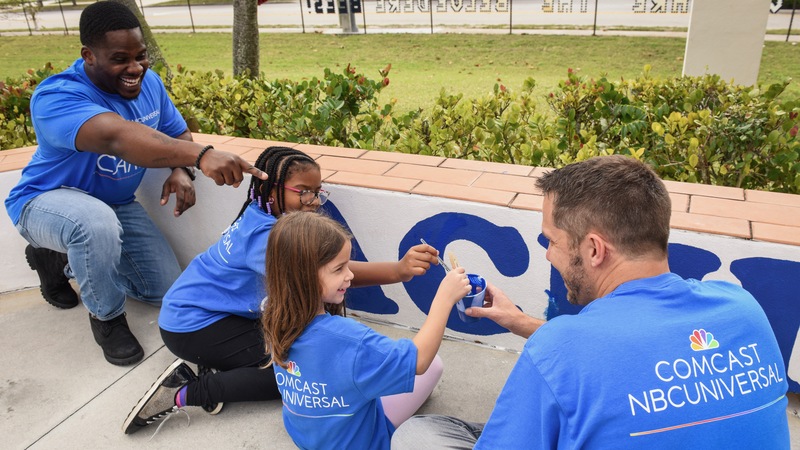 For more information on Comcast NBCUniversal and Sky volunteer and community impact initiatives, visit https://comca.st/2GeRA4a.